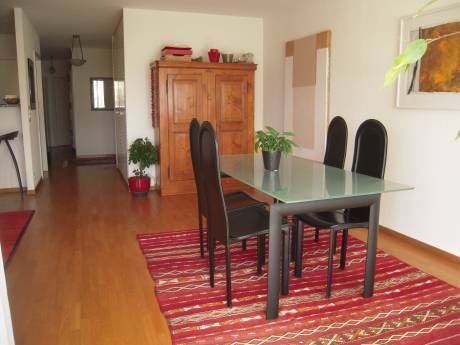 Situated on the last floor of an historical building, the apartment is comfortable, spacious and modern, yet warm. 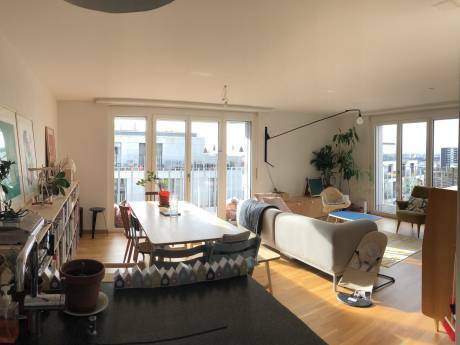 With a large living room, an inviting kitchen, a quiet sleeping room and a functional bathroom, my flat is perfect for 2 persons (one of the couches can be converted and allows to host 2 more persons). I'm a single 42 y.o.-guy with a very active professional life (I purchase chemicals and take care of investments for a major pharmaceutical company among the top 3 in its sector), who loves to escape the routine, travel abroad and get to know new cultures. Respectous with his own properties, I guarantee the same for yours. I'd like to find the potential home-swingers with some advance, in order to chat and facilitate their visit in Switzerland. Ideally located halfway between the lake shore and downtown, everything is at reach. The area provides spectacular parks (such as the Olympic Museum's) and every facility (smimming pools, sports centres, shops, grocery stores and restaurants across the street,...). With a stop on this blvd, the new automated m2-subway takes you for a ride in one of the steepest, if not the steepest, underground lines of the world. 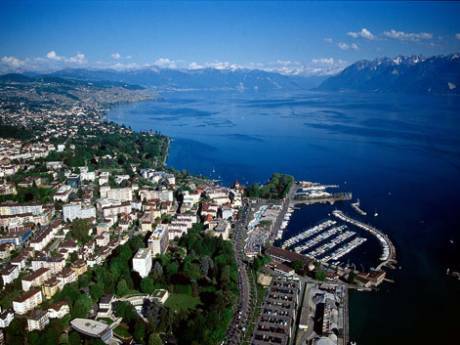 The lower side of Lausanne is among the most genuine and well preserved city districts. Lausanne has much to offer to its visitors, but also guarantees the highest level of mobility, thanks to the very efficient Swiss railway net. Indeed, Geneva and the international airport are 30 minutes away, Bern, Gstaad and the Gruyere 1 hour, Lucerne, Zurich and Basel 2 hours, Lyon and Zermatt (the Matterhorn) 3 hours, Paris and Milan 4 hours. This is just how many visit opportunities this area provides.